After living so close to NYC in the late 70’s and visiting over the years, I had never visited the Statue of Liberty or been to Ellis Island. Don’t know of any of my ancestors who traveled through Ellis Island but we did find John’s great-grandfather on a 1906 registry. I stood in the registry room reading some of the accounts from immigrants and tried to imagine their anxiety, anxiousness and most of all relief to be off the boat after what would have been a long, arduous journey across the seas. 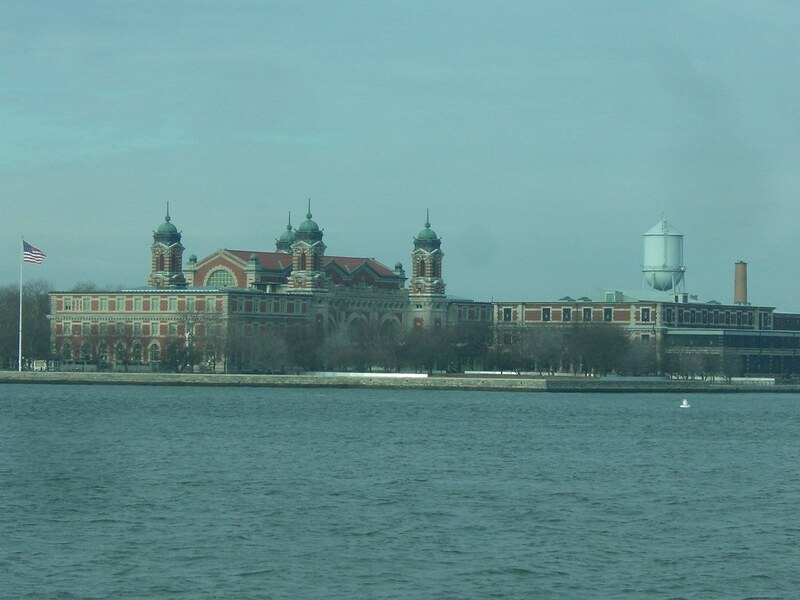 If you want to check your family members who may have come through Ellis Island, click here. 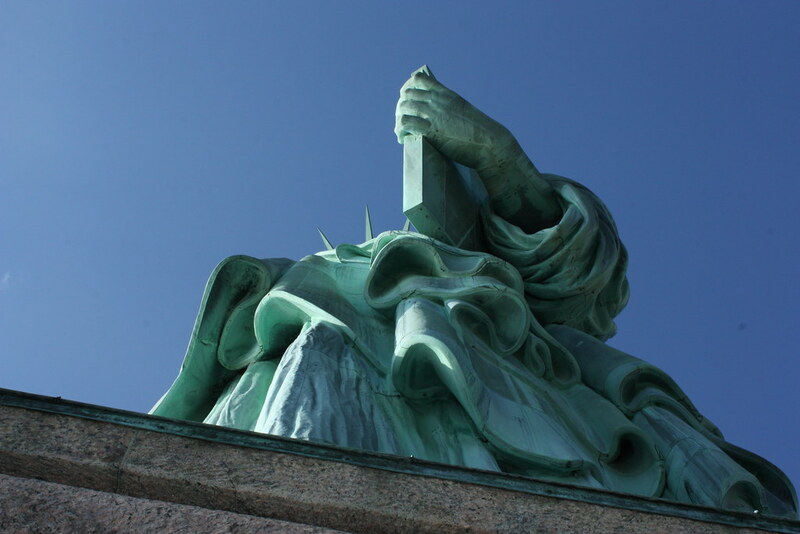 The Statue, a gift from the French, was completed in 1876 to commemorate the 100th anniversary of our Independence. 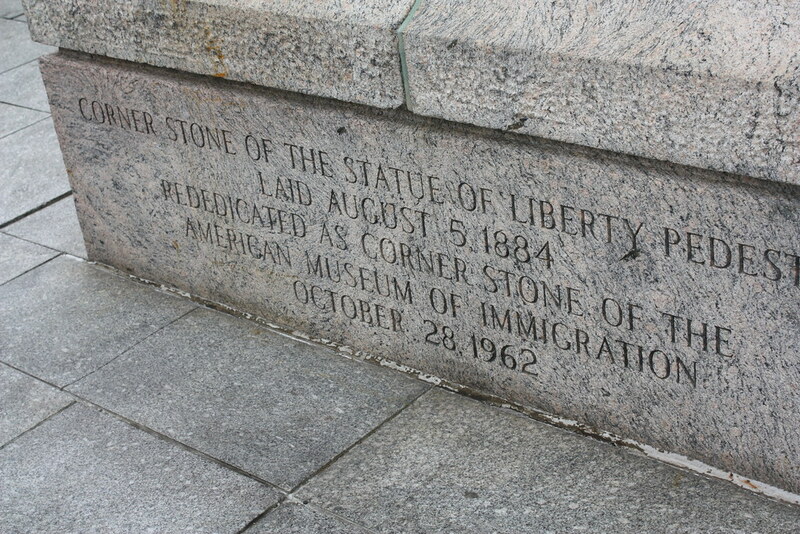 The pedestal was erected with monies raised from US citizens. 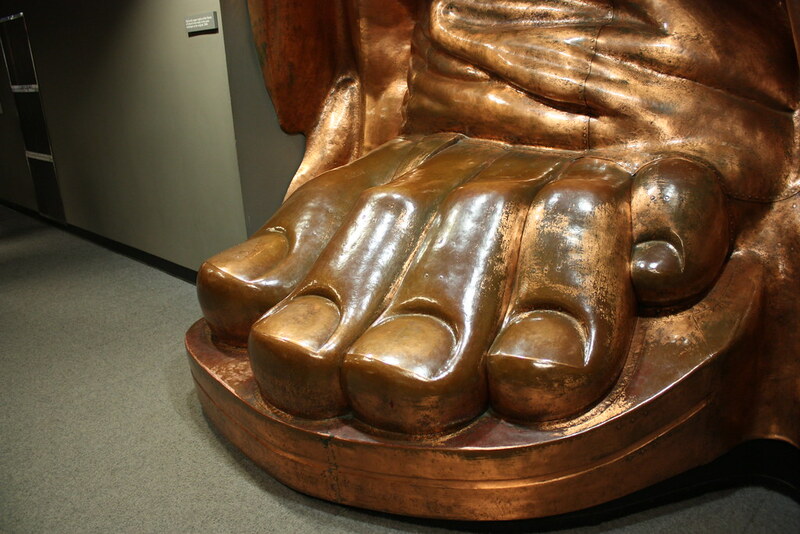 What surprised me most about the statue is it’s so thin ~ only the width of about 2 pennies. Despite the fact I thought I might get frostbite while waiting in line for the ferry (30 minutes in sub-zero temps), it was well worth the pain and shivers. We picked up our tickets at the suggested 30 minutes prior to the launch which was a good thing because we were in the front of a VERY long line and were able to get a seat on the boat. They fill the boat to capacity. 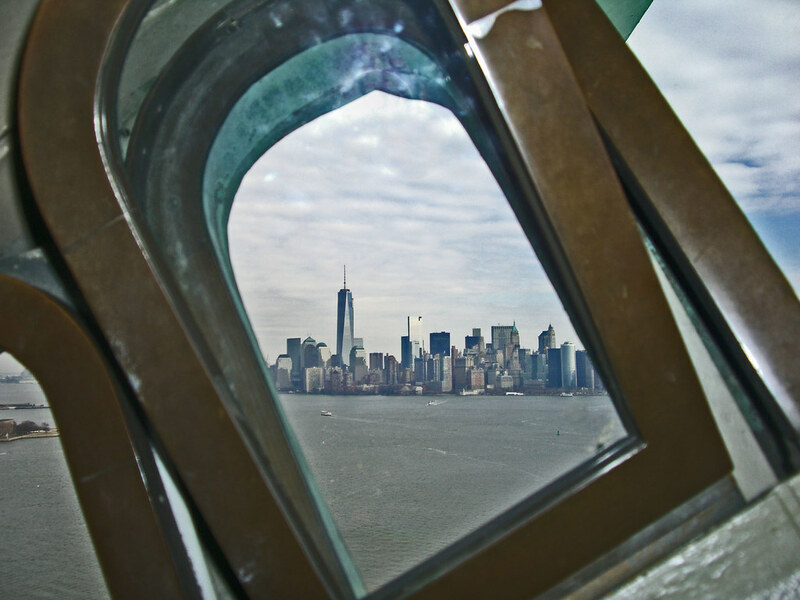 Book early ~ we booked our tickets for the tour of Liberty Island, Ellis Island and the Crown two months prior to our trip and there was only one time still available for visiting the Crown on Sunday ~ 9am. So much for sleeping in. You won’t be able to buy tickets for the Crown once you’re on Liberty Island. The boat departed from Battery Park and, since we were staying in Brooklyn, we took the R Train to Whitehall Station. 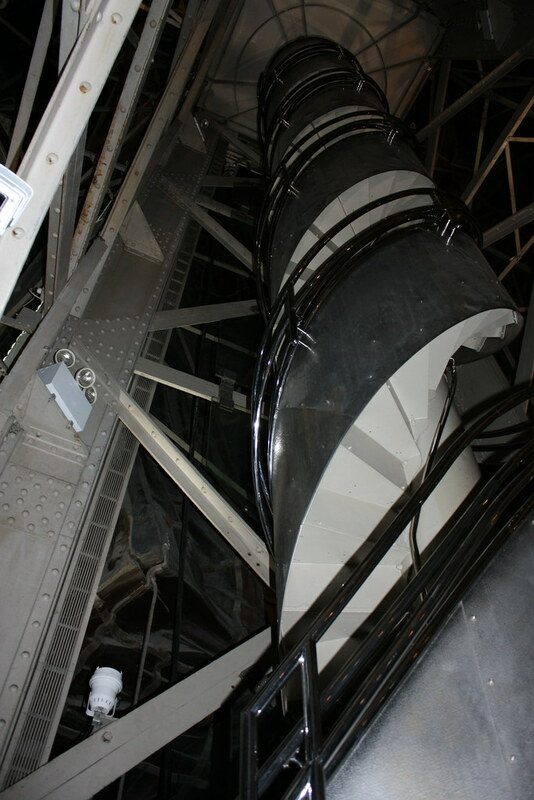 There are 354 very narrow steps up the spiral staircase to the Crown. You’ll be required to store your backpacks or large purses in a locker ~ it’s definitely necessary as it’s a tight fit. The crown itself is a small area with only 5-6 people allowed to squeeze in at a time. Our cost for the tour (including the crown) was $108 for 4 people and can be booked through Statue Circle Line. Thank you for your glowing praise. Hope you continue to enjoy reading about our travel adventures. Thanks for the pics from the crown … when my son and I went up, we did not get to the crown (did not plan ahead). Did you learn why the original torch was taken down? Ellis Island was a mix of emotions … as you said, imagining the anxiety and fear of those coming through and feeling anger over the treatment of human beings. I loved the green wooden tree that showed all of the words and sayings from around the world that we have all adopted into our daily lexicon. 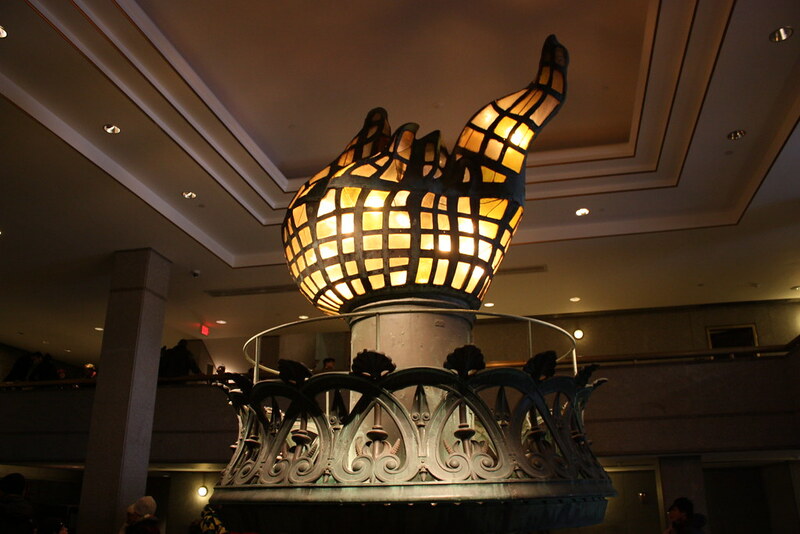 The original torch was intended as a lighthouse but the windows had openings that allowed rain to come in and this corroded the raised arm’s support structure. I read that there will be work done on the pedestal which will close the statue for a couple years. 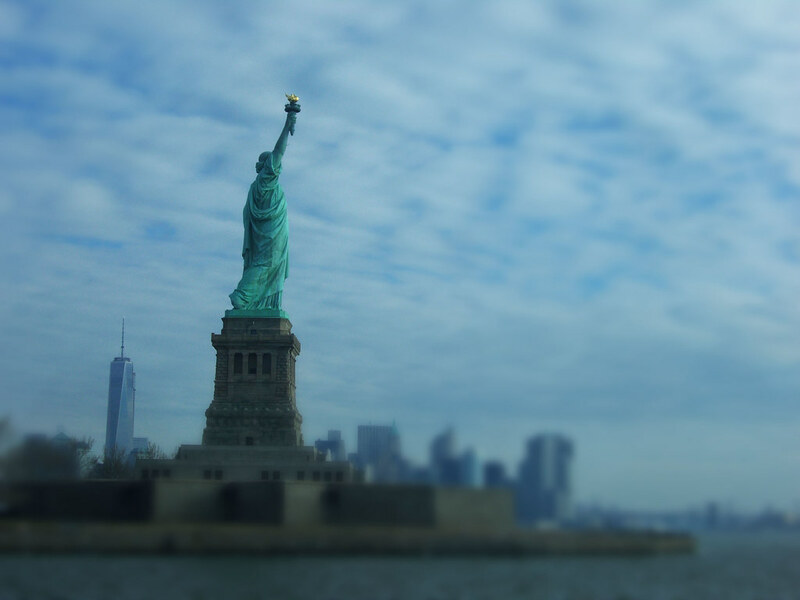 I love the photo of the Statue of Liberty with the skyline behind her. Really wonderful! You remind me that I haven’t been there for years. Thanks ~ I was so happy to finally make it to the Statue of Liberty. As always, there’s still so much left on my NYC to do list! Love the shot from the crown! I’ve never seen that before! Thanks! It was so interesting to look out from the Crown.